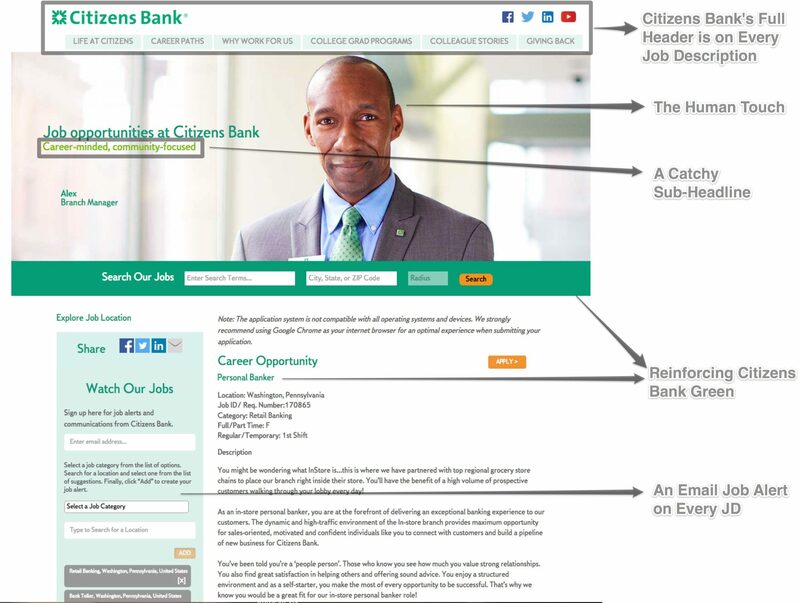 If you want some inspiration for your job pages, check out Citizens Bank. I’ve included some notes on why their branded job descriptions are better than 90% of employer job pages. Then, when you get below-the-fold of their JD they include employer of choice awards they’ve won. 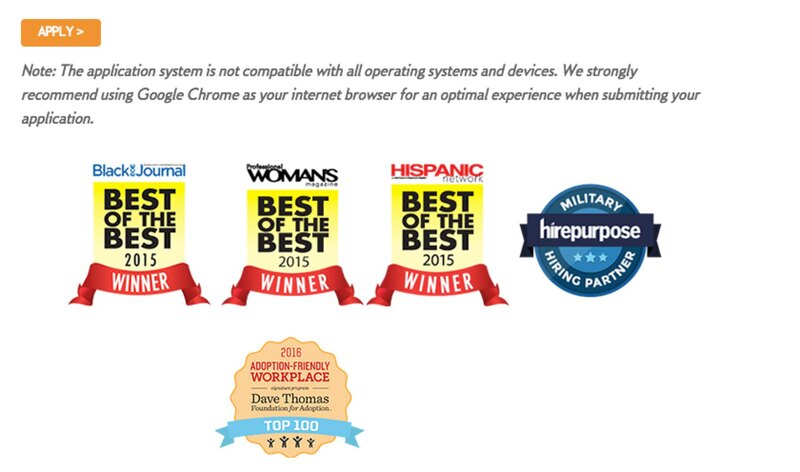 We’ll keep beating this drum — if you have earned Best Employer-type awards, you should show it off visually on every job description page because it A) helps your job page stand out and B) acts as social proof to candidates that you’re a great place to work. Note: If you’d like our Ongig team to give you a free Talent Attraction Audit of your job descriptions we’re happy to do so. You can reserve your time here: Audit Calendar.